The first step in adopting an animal is to complete an adoption application. This will help us match you with a suitable animal. Each form is tailored to the particular type of pet, which allows us to match in terms of the commitment that the particular animal will require. Both your family and our animals will each have particular needs, depending on age, lifestyle and experience. Our aim is to ensure that every adoption is successful. Please bring a valid form of ID which includes your name and address. After a brief discussion you will have the opportunity to meet the animals you have shown an interest in. We advise that all members of the household meet the animal before placing a deposit down to ensure everybody is happy and that nobody develops an allergic reaction to the animal (as this can be a common problem). If you live in rented accommodation we require permission from the landlord in writing that you are allowed an animal in the property. Once all of the above criteria has been met you will be asked to pay a £50 deposit to place a reserve on the dog and £20 to reserve a cat. We can then organise a home-visit as required. We encourage you to visit your new animal while it is on reserve and you are waiting for a home visit to take place to start the bonding process. A volunteer Home Visitor will contact you to make arrangements for a visit to further discuss your animal adoption. The Home Visitor will liaise directly with the Centre and you will then be telephoned to arrange collection. We request that this is done as soon as conveniently possible (i.e. 2 or 3 days) as we have other dogs waiting to take its place. Collection of animals is by appointment only allowing us to ensure your new animal is ready for their new home. All dogs, cats and rabbits are micro-chipped before adoption. An identity disc will be prepared free of charge. 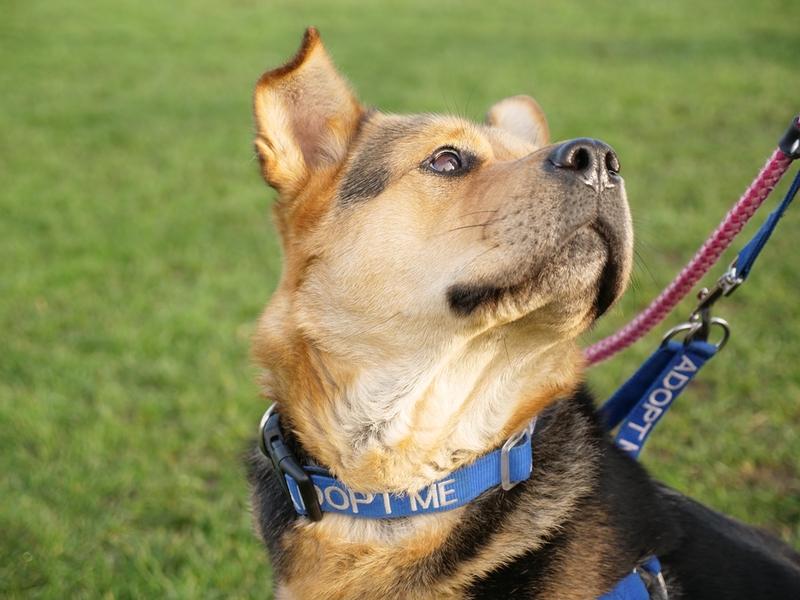 All dogs must leave with a collar and lead for their own safety (it is a legal requirement for dogs to wear a collar with an ID disc). Cats must leave the centre in a secure carrier for their own safety. We have a shop on site where you can purchase all required equipment, helping fund the centre further. The remainder of the adoption fee is payable upon collection. We fully understand that your newly adopted animal may struggle to settle into their new environment which can be stressful for all concerned. You will have been given advice and information throughout the adoption process. You will also have been given an information booklet which contains valuable advice regarding behaviour and welfare, featuring lots of helpful tips and topics. If you have any worries or concerns please don’t hesitate to contact us for further support and advice, we will be happy to assist you! We will honour any veterinary costs and treatment required within this two week period providing the required treatment is carried out by our center vet. Please note that this does not include payment of private veterinary treatment costs. We encourage all our adoptees to contact us within the first 2 weeks should their animal show signs of stress or ill health etc. We will honour any veterinary costs / treatment required within this 2 week period providing the required treatment is carried out by our centre vet. Please note that this does not include payment of private veterinary treatment costs. Our on site team of experienced animal care assistants and support staff can advise you regarding general training and behavioral issues. Please feel free to contact us for any further advice, alternatively for more complex behavioural issues your local vet will be able to put you in touch with a suitably qualified behaviourist. All animals require a balanced diet, further information regarding diet requirements for all species can be found via the RSPCA national information website. If your animal had been adopted through this centre, your animal’s current dietary requirements will have been discussed with you. As rehoming can sometimes be stressful and unsettling, we recommend that a dietary change is kept to a minimum and done over a gradual period of time. For further support please contact us. All our dogs, cats and rabbits will be microchipped prior to rehoming, unless there is a veterinary reason not to do so. The microchip will be registered to your current name and address, should these details change it is your responsibility to notify the microchip database company and update as required. Please note that it is now a legal requirement to ensure your dog is microchipped and the keepers details are kept up to date. The Centre is open from 12.30 to 3.30 every day for viewing (no appointment necessary). To save time when visiting the centre, fill out the relevant form to register your interest in viewing an animal. Bring this form in with you when you come to visit the animal.